RED ALERT! The enemy is attacking the Six Cities with wave after wave of IPBM's, nuclear bombers, "killer" satellites, and smart bombs. Launch your Antiballistic Missiles, Commander, and knock out the enemy's warheads before they knock out your cities. But watch out! 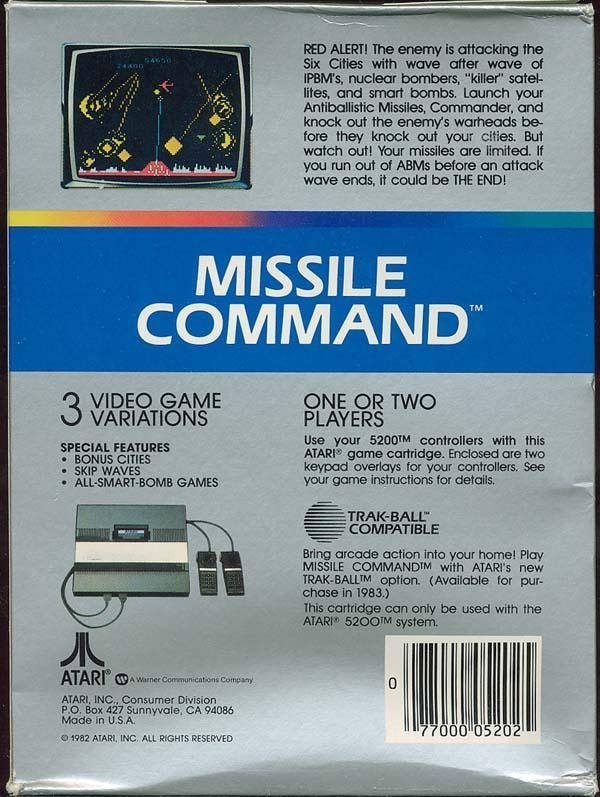 Your missiles are limited. If you run out of ABMs before an attack wave ends, it could be THE END!